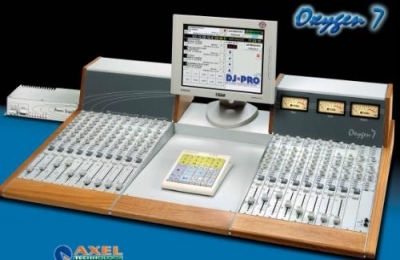 The OXYGEN range of control desks have been specifically designed to satisfy all the requirements of TV and Radio and in particular broadcast applications. It’s simple to learn and use and has maximum flexibility: these features are also acknowledge in other sectors such as dubbing and program production. Components used have been selected and built, without compromise, from the best available on the market: these include the rotary potentiometers, sliders (Alps), connectors and convectors (Noitrik), instruments and knobs (Sifam), and IN/OUT buffer (Analogue Device). The construction of OXYGEN 7 is entirely modular, it can be configured as required to guarantee maximum ease of replacement and maintenance of each module. Its full modularity allows it to feature 10, 20, 30, 40 modules, satisfying any kind of requirement.